New IPVM statistics show the rate of PTZ declines, where they are still being heavily used and what the most common replacement for PTZs is. 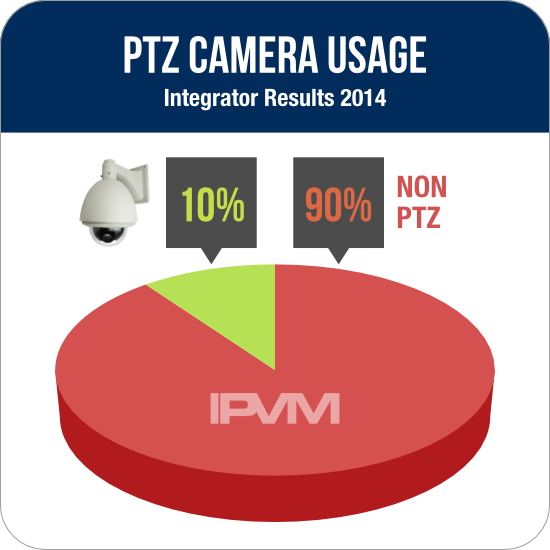 Overall, just 1 in every 10 cameras being deployed by integrators today are PTZs. *** **** ********** **** *** **** ** *** ********, ***** they *** ***** ***** ******* **** *** **** *** **** common *********** *** **** **. *******, **** * ** ***** ** ******* ***** ******** ** integrators ***** *** ****. "** ********* ******* *-* ********* ******* ** ***** ** *** PTZ"
"**** ** *** *** ****** ******* **** ***** **** ** cameras ******* ** ***." "**** ********* **** ********* ******* ******** ***** ******* **** ***** PTZ"
"** ** *** ** ******* *** ****, **** ** **** there ** ** ***** ** ********** ****. ********** **** *** can ******* *-* ***** ******* *** *** ***** ** *** one ***." "** **** **** *** *** ******* ******* **** ***** **** in ***** ** *** *** *** **** **** **** ** just ***. *** **** ******* **** * *** **** ***'* logical." "********* ****** **** ********** *** ********* *** **** ** *-* *****." ********** **** *** ******* ** ***** ** *******, *** *** easily *** * ** **** * ***** ******* *** *** price ** * ****** ***. ****, **** ********* *** ***** common, *** ******** **** ** * ********** ***** ******* ** far ******* **** *** *********** ** / ****** ************. ** ******, *** ***** ***** ******* ** **** ***** ***** cameras ****** ***** ****** *** ************ ***** * ****** *** only ******** ***** ** ** ***** ** *** ***** ****. ** *** **** ****, *********** ********* ******* ********* * ****** PTZ **** * ****** ** ***** ******, ** * ***** wide *** ****** *** ****** ******* *** ******* **** **** 10 ****** **** (*. *., * ***** ****** **** ** ** FoV ******** ***** **** ** ** ** **** **** **** the ******). "**'** *** * *** ************** ** ******* **** ** ** able ** *** *** **** ****** ** *** **** ***** areas ** ** * ****** ***." "******* ******** *** ******* ***** ***** **** ***** ** ** able ** **** ****** ****." "*********, ** *** **** ******* *** ** ***** ***** ***** or *** **** *********, **** ** ******* ****." "***** ***** ***** * **** **** ****** ** *** **** is *** *****, *** ********* ** ********** ******** **** ***** cameras. ********** ** ********** ******* *********." *** ********, **** ** *** *** (*) *** ******* **** by **** ******** ****** ** ****** **** ****, *** ***** only ***** ~** ***** ******** **** *****.  ** ********, *** users ********* ***** **** ***+ ****** **** **** * ******. "** ***'* ********* **** ** ******* ***-***** ** **** ***'* have ** ******** ** ******** **** *** ****** ******." "*** *** ********* *** ** *** **** ****** **** ** supplement ***** ******* *** **** ******* ********* **** **/*." "**** ***** ***** ** * ***** ******* **** ** ******* 24/7." "****** **** *** **** ** *** **** *** * ******* room **** ****** *********"
"*** *** ******* *** **** ********* **** ** ******* ** able ** ********** ****." "** *** ****** **** ****** *** ****** ******* ** * tool ** ****** ****** *** ******." "**** ** *** ******* ** *** **** ********* ********* ** operate * *** ***********." "***** *** ********* ********* ******** ** ************ ***** ***** *** GC ***** ** *** *** *** ******* ** *********** *** to **** ** *** ** **** *** *********." "*** **** ** **** ****** ** ************ ***** ** ******* managers *** ****** *******." "** *** *** ************ ***** *** **** ***** ********." "** **** **** **** *** ****** ****** **** ** ******* like ** **** **** ** **** * ******** ***. **** use **** ** **** ** *** ***** ** *********/****** ***** ***** *****." ******** ** **** *** **********, **** ********* **** *** ***** is **** **** ~**% ** *** ******* ** ~**. **** is * *********** ** **** ***** ******* ***** **** ***********. "**** *** ******** **** *** ***** ** ********* *** *** grown *** *** ******* ******* ************ ****** *** **** ****." "**** ****** *** **** *** ****. *** * **** ****** live." ***** ** ****** ********* ******* *** *** *******, ********** ** do *** *** **** ***** ********** **** ******. ********* ********** growth ** ******* *** ** ***** **** ***+ ** ********** cameras ** ********* ********* *** *** ********** ***** ***** **** live *********. You didn't mention casinos - one of the largest users of PTZs. We use them to zoom in on areas that are also covered by fixed cameras. Also, outdoors where it would take a much larger number of fixed cameras to cover the same area. In fact, approximately 15% of our cameras are PTZs. Of course, casino systems are usually manned 24/7. I don't mention casinos because only 1 of the respondents mentioned casinos. Certainly, casinos are relatively heavy PTZ users but they are a niche overall in surveillance. So estate owners in Florida aren't a niche? I don't recall seeing a poll, though I might have missed it. My guess would be that you have very few casino integrators subscribing to IPVM or the results would have been different. 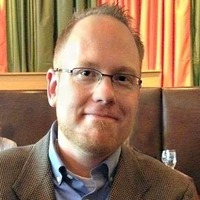 Carl, this might surprise you, given your casino focus, but there are very few casino integrators in the world. No, it doesn't surprise me at all. 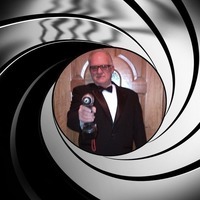 Casino Surveillance is a very demanding market which the vast majority of integrators who try have trouble getting into. Over the years, I've seen more integrators try unsuccessfully to enter the market than are actually in the market. I live in an area with droves of Indian Casinos. Most of them don't have any PTZs. Seriously? How do you know? I have not been to any casinos that don't and I've seen the systems in many. As a former integrator, those RFPs caught a lot of attention in my area. Are these very small casinos? Tier A casinos (annual gross revenues less than $5M), don't need to have manned Surveillance Rooms. As stated by John, there is little benefit to PTZs without the staff to control them. Also, I was not being facetious when I asked if you can tell the difference by sight. We, like many casinos, have a large number of Pelco DF5 back boxes containing fixed cameras. Even I have trouble telling which is which between them and Spectra PTZs from the floor. The same is true of our IndigoVision 11000-series of fixed and PTZ domes. I am not a fan of PTZ for anything other than active monitoring, and even then, they can be an issue. For non-active monitoring, PTZ cameras are often not pointed in the direction needed, and/or if they have an automated path, may not stay on target long enough. They also seem to be less reliable than fixed cameras. I have several old PTZ cameras that no longer P, T, or Z, but otherwise work. They also seem to be less reliable than fixed cameras. That's quite true. Until we started repairing them ourselves, our budget for PTZ repairs was quite substantial. For out-of-warranty repairs, Pelco charged, on average, around $400 to $500. We found a company who services PTZs and the average cost dropped to $200 to $300 but we had to return a number for re-repair. Once we started repairing them in-house, our average repair cost dropped to $100 to $200. For the first time in many years, I am starting to sell and install more PTZ cameras. Outdoor rated 1080 to -22 F at integrator price of 1000 dollars (800 dollars for 720). These were more than twice this a year ago. I remember my selling statements when I installed some of the first Arecont H.264 5 MP cameras outside (7/2008) and my explanation that this would replace PTZ with digital PTZ. You do the numbers, and realize low light ability on these sensors is horrible at night, and the only true way to provide usable video for cases is a ton of fixed or an operator with a HD PTZ camera. I probably would have agreed with this article a year ago. Not now, though. Do you see any value in using auto-tracking features, when available? What solar/wireless PTZ's with efficient heating are you using/considering? Are you using Dahua or Hikvision PTZs? Because I don't know any big Western brands that are selling outdoor PTZs at $1,000 and include integrated IR. Assuming that, you can now buy their fixed MP models for 1/10th that price, which still provides credence to buying X number of fixed MP models instead of PTZs, no? Do you mean Western or only non-Chinese? e.g. Samsung, Sony, Panasonic, Canon... Or even just non-Hikhua? I'll take your word that there are no Western ones. Question in return, have you seen any camera from ANY mfr that meets your specs (-noname -oem +wireless +3MP**) for less than this EasyN one at $130? Or do you think its a scam/misprint? This is junk. I wouldn't even pay $130 for this. Agreed junk! Good catch on the MJPEG. Technically they "only" lied with one extra "Z" and one moved decimal place. Thanks for the reminder to keep'em honest. I was referring to the ds-2de line from Hikvision. Just recently put 35 of the 1 mp 20x models in a well known retail establishment all running at 30 fps. These cameras also are outdoor rated. Cost as integrators is under 800 dollars. 4 year warranty. We also put a whole bunch of their 2df 1080 pro series cameras outside in parking lots via fiber and wireless. Very slick at a cost of about 1300. One of the selling factors is hardware (quality mounting hardware for 45 per camera) and also, to my surprise, every camera comes with a Poe+ injector. (they even come with gloves). Hardware accessories have been the printer ink for camera manufacturers for awhile now ( I stopped selling iqeye domes because of the 85 dollar wall mount charge for their chunk of metal). I have to also say that technical support from Hikvision was top notch when a firmware issue came up. It took them 24 hours to come up with a solution. A month laTer and still no answer from our VMS manufacturer. What distributor do you use for Hikvision? We use ADI, and our pricing is higher then that. David- What region are you in? Have you connected with your Hikvision RSM? New Jersey. When I had reached out to Hikvision, they had told me to deal directly with ADI. PTZs make a guards time on the console more interesting. Operators could conduct active "video patrol tours" to ensure the operator is alert and of course, make sure the masking is turned on where private spaces are involved. You wrote: "Megapixel resolution growth is slowing and it would take 100+ MP resolution cameras to seriously challenge PTZ use monitoring large areas with live operators." I totally agree and I've maid this calculation: It will be needed at least a 423 Megapixels camera to replace a VGA PTZ with a 35 X optical zoom. Zoom power (ie: 35X) is used to describe the focal adjustment range of the lens, not a linear expression of how much the image grows. Zoom number is calculated by taking telephoto length/shortest length. Zoom number does not correspond to how powerful a zoom is, just how adjustable the lens is. That's why I specified in the first paragraph of the article that PTZ camera I'm using for comparison is a 35X speed dome going from 3.6 mm to 126 mm. 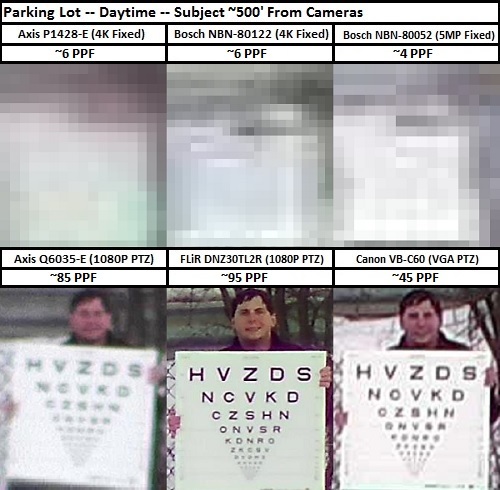 "Suppose you had installed an analog speed dome camera with 35X optical zoom, viewing the entire area of a parking lot when it is at its maximum aperture (3.6 mm - 68°). If you want to see some detail, just position the camera and zoom, taking the lens aperture from 3.6 mm to 126 mm." Got it, thanks for the follow up. The risk in equating zoom number to picture size is how imprecise it is. Using the Q6044 above for example, if I say 30X makes my picture 30 times bigger I am not clearly expressing/ignoring the FoV width change. This may be obvious to someone with experience, but a novice may not understand this - especially given how careless marketers use this number. Even when used for calculations, it can be a bad metric to use. Again, the Q6044 has a 62.9 degree wide FoV width at the shortest focal value. Multiplying that widest FoV by (1/30), or 30X less returns 2.09mm. To get the actual claimed 2.2mm, we need to use 28. So is the 'zoom number' 30X, 29X, or 28X? As long as we make sure we are only using it for focal length values, there is no risk, but since it is open for rounding errors, using this number to calculate FoV size is problematic. ...but since it is open for rounding errors, using this number to calculate FoV size is problematic. In Claudio's case of the 400MP hypothetical camera we have a little room for error, no? Yes, you're right. FoV precision is a problem with long zoom lenses. Due to their low cost when compared to professional photography lenses, some imprecision is expected. 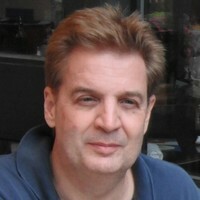 Yes, agree that it would take a 400MP+ camera to replicate the level of detail that a 35x vga camera could. Though it should be noted that you would have a total field of view of 35x as well with the digital zoom, something that comes in handy when you are recording. Plus, nearly instant PTZ with no-refocusing. 2MP * 20^2 = 800MP"
Many thanks for your answer! Yes, as an engineer, I certainly know that, but the main purpose of my website is to distribute information in a very easy and understandable way. My target is not only those very professionalized integrators but also those small installlers that are starting in the CCTV business now. That's why I always try to present the theory in a very simple way. I followed the definition of zoom as a ratio of focal lengths, at min and max zoom. I also followed the cctvinstitute analysis which implies that a ratio of focal lengths should equate to a ratio of linear distance between a pair of pixels, at min and max zoom. After independently replicating Claudio's analysis (you know, "as an exercise for the student" :), it seemed to me that both definitions are right. So, am I missing something?